Whether your customer is looking to improve the security or energy efficiency of their home, a new composite door is a great choice. We can ensure a great first impression, lasting durability, security, energy efficiency and peace of mind.Our bespoke front and back doors are secure and durable, energy efficient and double or triple-glazed. 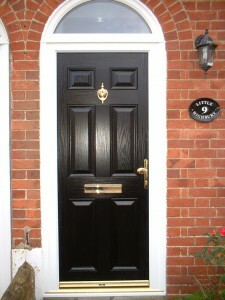 An elegant door will bring a personal touch of style to their home and enhance their property’s ‘ kerb appeal’.